This is probably never going to happen but I think it is pure genius and I can’t understand why Democrats are upset about this. Two sets of facts, number one, it is the position of the Democratic Party that illegal aliens held by ICE should be released into the country, into our communities. During negotiations during the government shutdown, Democrats’ official negotiating position was we should limit amount the amount of beds ICE has to 35,000 and they expressly said for the purpose of forcing the Trump administration to release noncriminal aliens into the community. So they’re for releasing them into the community, periods. Secondly, they created sanctuary cities and this is their policy for the purpose of giving sanctuary to illegal aliens. NYC Mayor de Blasio wants to offer them free healthcare. Stacy Abrams wants them to vote in local elections. Governor Newsom wants to make the entire state a sanctuary, so how can you be upset about President Trump offering to do exactly what you say you want to do? 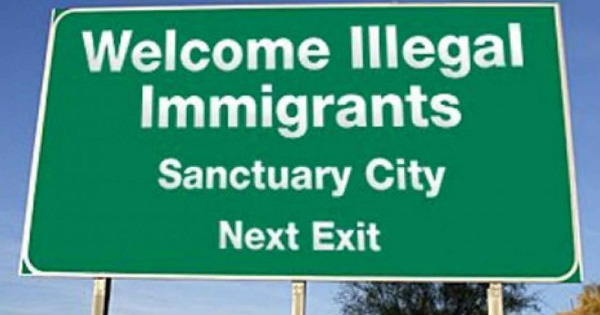 'Spying' is the Right WordWill Trump send Illegals to Sanctuary Cities?